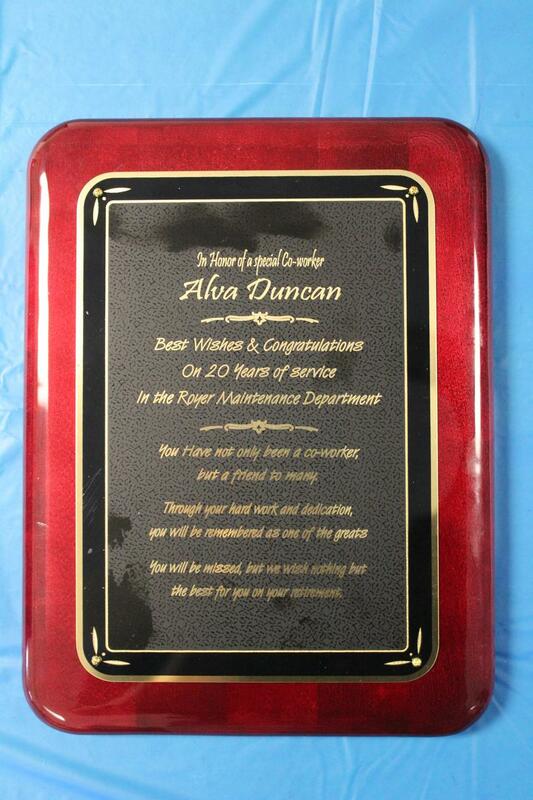 Today the Royer Corporation team was thrilled to have the opportunity to honor Mr. Alva "Alvy" Duncan for 20 memorable years of service in the Royer Maintenance Department. 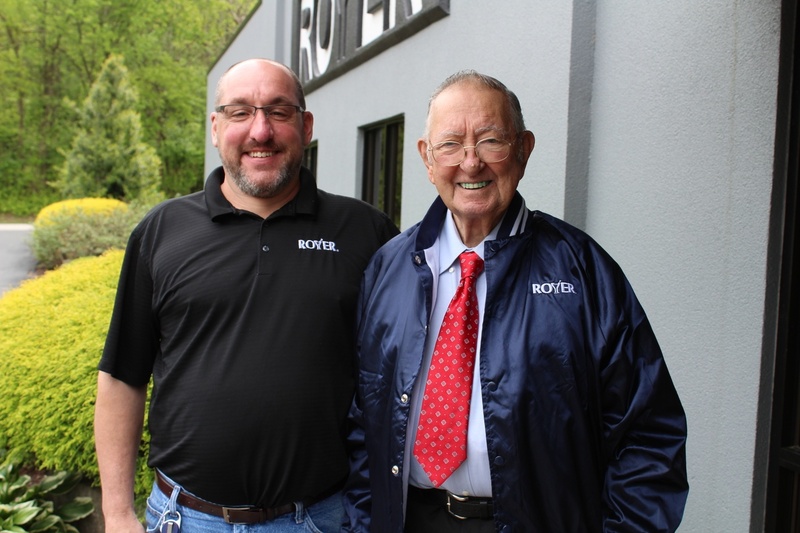 During his time here at Royer, Alvy was a master when it came to anything pertaining to hydraulics, electrical work, automation, or installing new equipment. 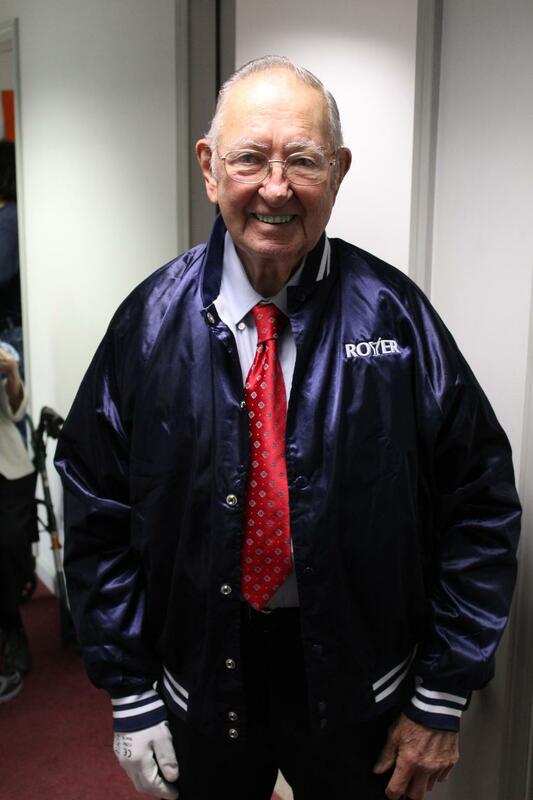 In addition to Alvy's mechanical prowess, his character is what we cherish most. 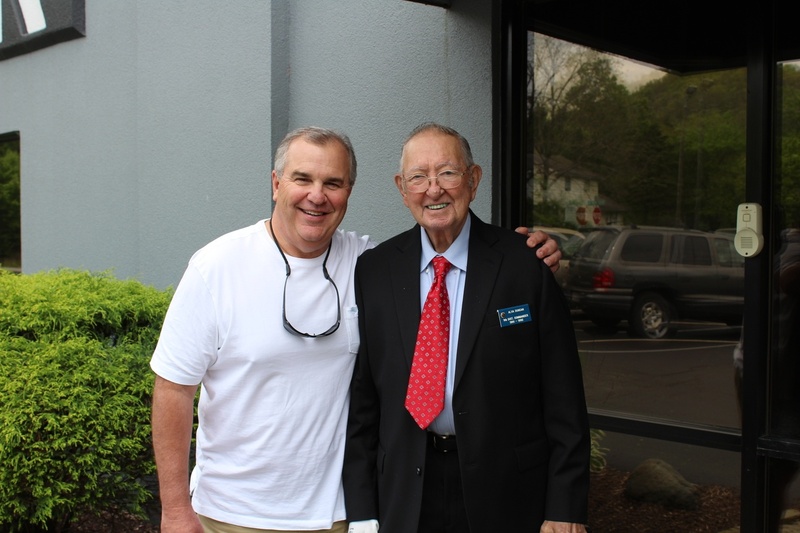 Mr. Duncan's respect and sincere care for others served as a great example for future generations. 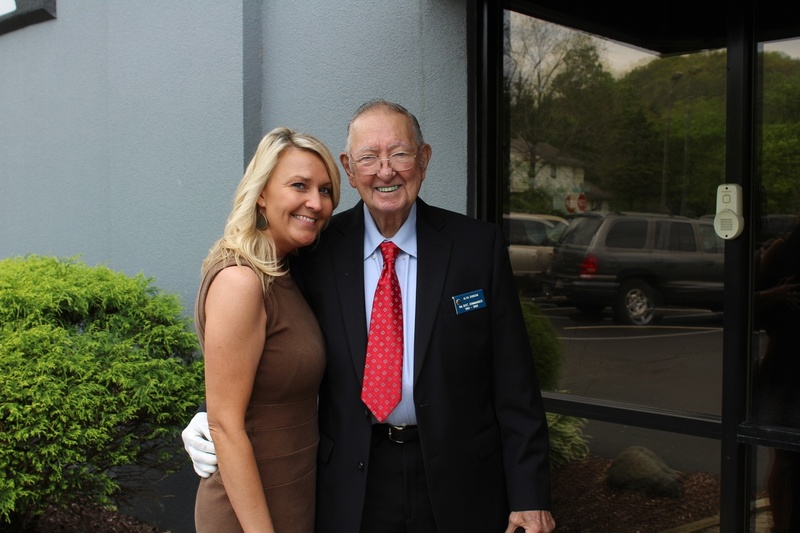 Alvy's one-of-a-kind stories accompanied by his charming smile can light up any room. 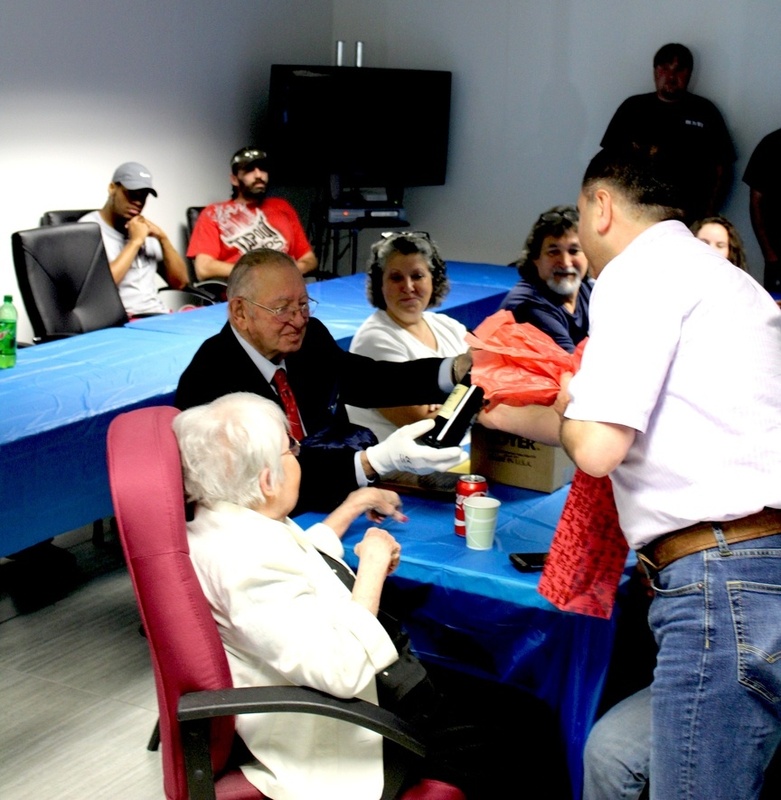 Alvy is an Army veteran of the Korean War and is a longtime member of American Legion Post 9. 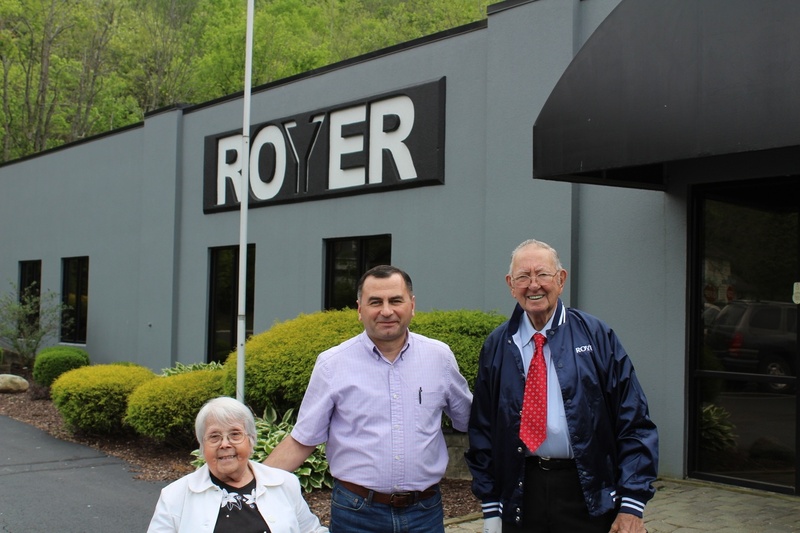 He is married to his wife of 67 years, Marjorie Rosario Duncan, who has also been a blessing for the Royer staff over the years. 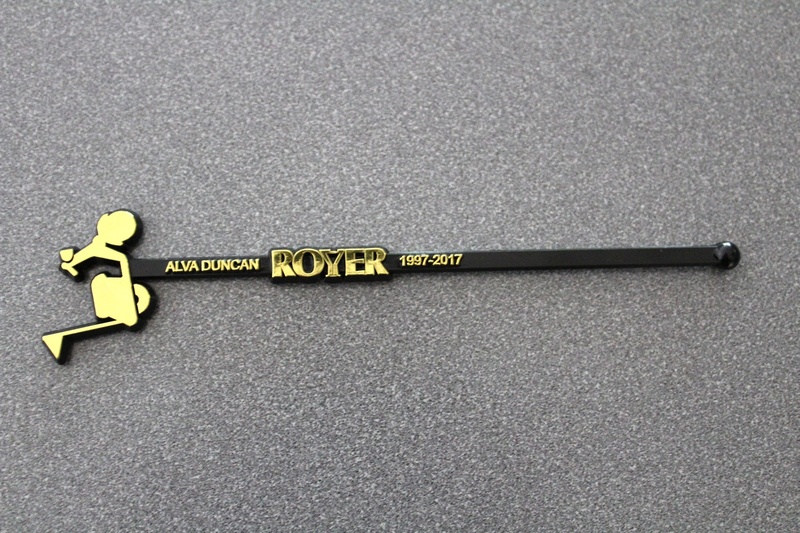 To celebrate Alvy's retirement, he was presented with a custom-made, retro Royer jacket, a commemorative plaque, and his very own personalized swizzle sticks that feature his famous electric scooter at the top! 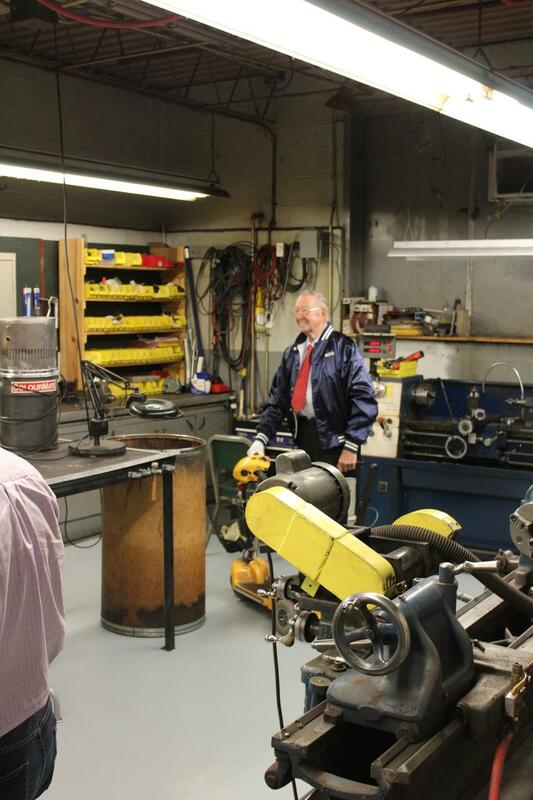 After a few words from Royer CEO, Roger Williams, Maintenance Manager, Roger Wingham, Exec. 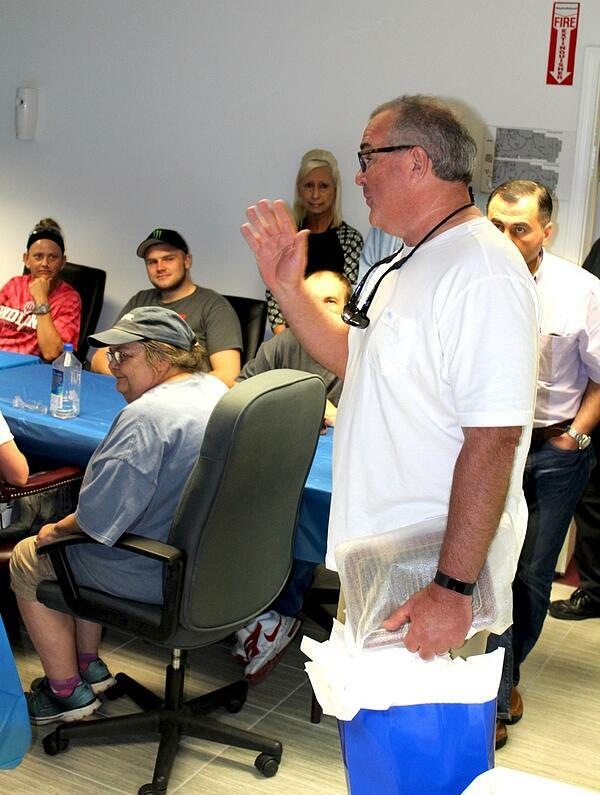 VP of Operations, David Chabukashvili, & HR Director, Christy Jester, our team enjoyed lunch together with Alvy's family. 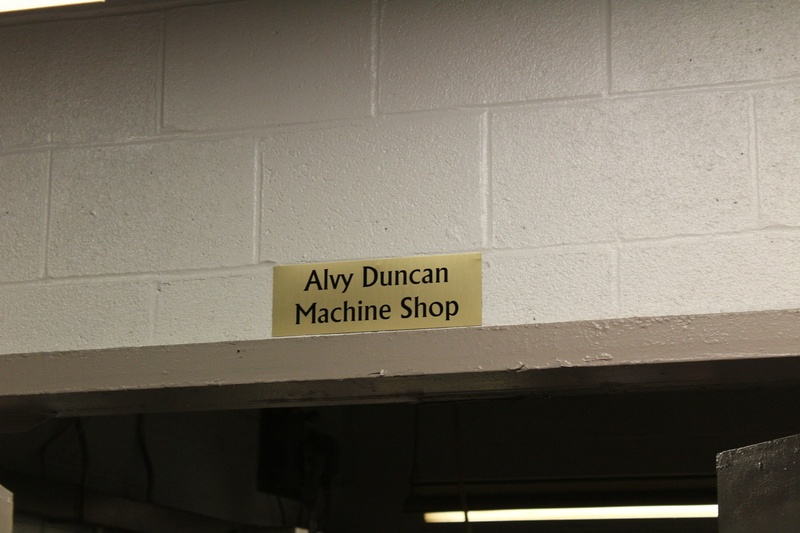 Lastly, our Machine Shop was officially named the "Alvy Duncan Machine Shop" which will serve as a daily reminder of Alvy's legacy. 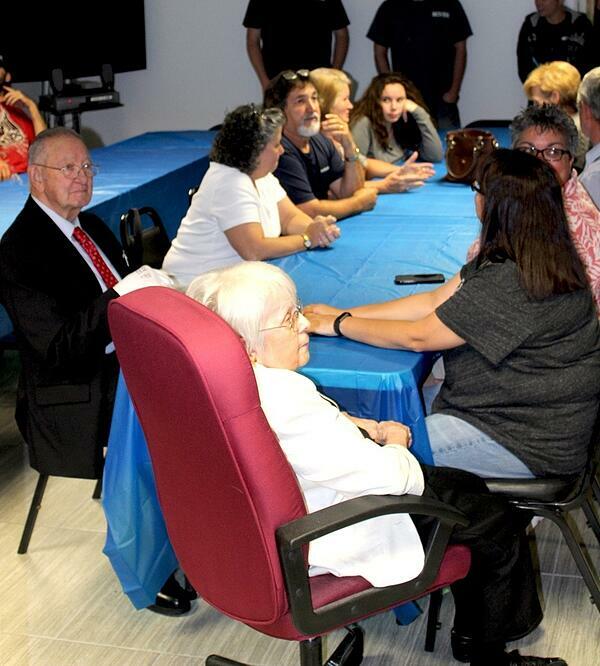 We invite you to enjoy the photos from today's event below. Thank you Alva! 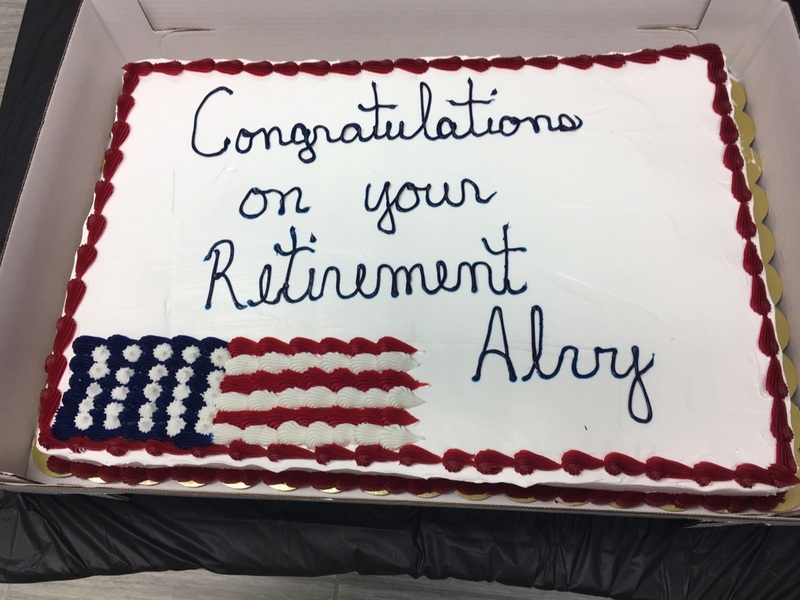 We wish you nothing but the very best in your retirement and as you know, our door is always open.  We expect frequent visits. Cheers!